White is my favourite colour for the summer. It looks amazing with the tan and it makes me feel fresh everytime I wear it. 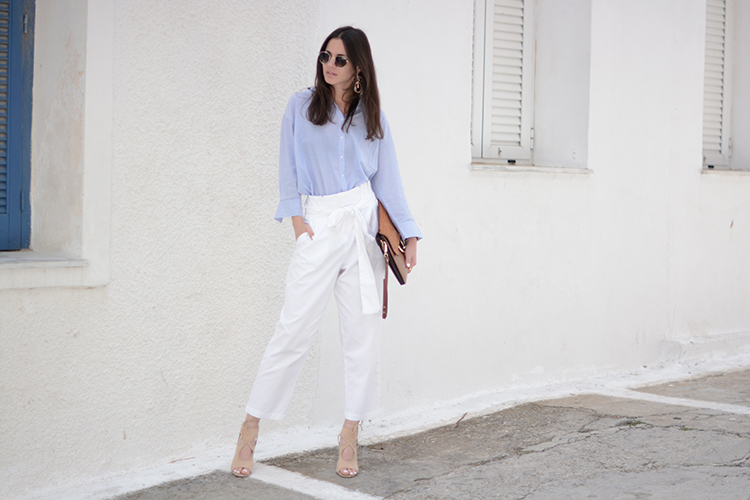 It´s the colour I always see on the runway and street for years and I never get bored of it. 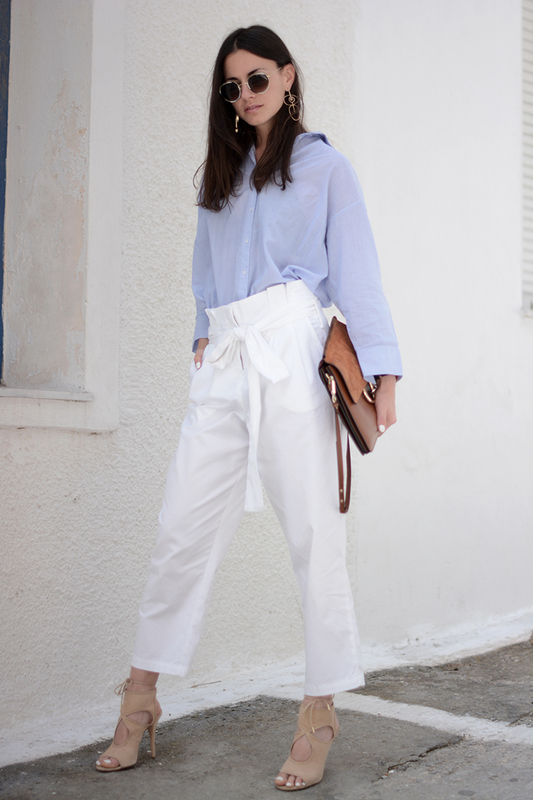 When it comes to pants, white might make you look a bit heavier than dark pants, unless you know which ones to pick and what to combine them with. Follow my dress code for today and you will look great! 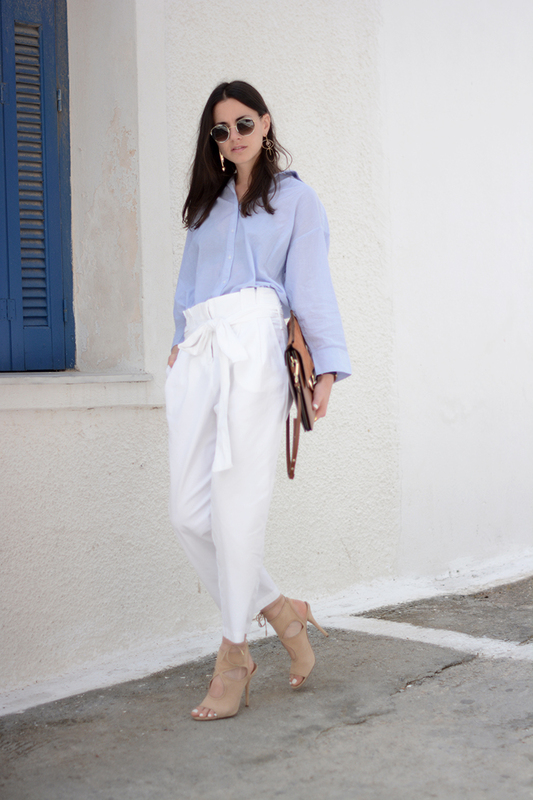 I got these loose high waisted cotton trousers to create an androgynous look and I paired them with a light blue oversize shirt (which I love) and my Aquazzura high heels in beige, in order to make it a bit more feminine. 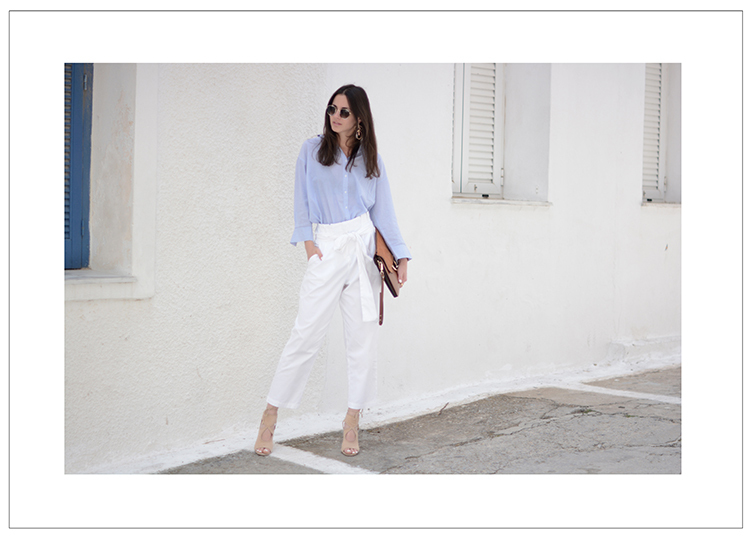 In case you are not a huge fan of heels, you can always wear flat sandals or your favourite white sneakers to feel more comfy. 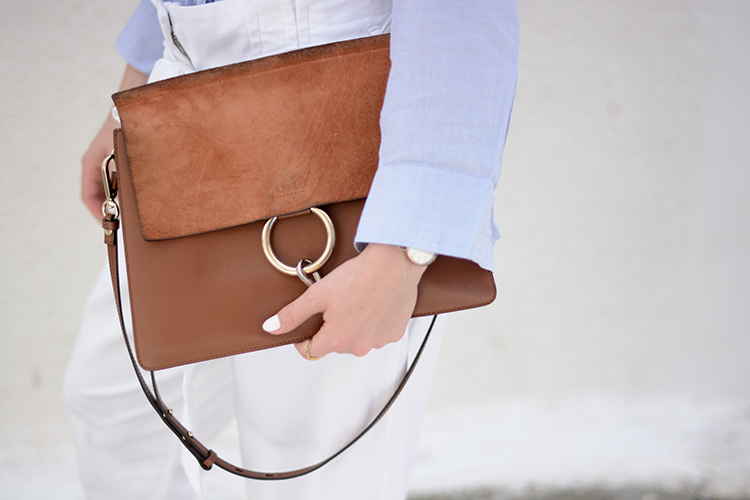 I needed a cool accessory to complete the look, so I added a bit of contrast and I chose my Chloe Faye bag in camel. If you want more information about my outfit, don´t hesitate to write me a comment and I will get back to you shortly.